ORLANDO, Fla. (Reuters) - NASA said on Friday it was weighing an option to buy two additional astronaut seats aboard a Russian rocket as a contingency plan against further delays in the launch systems being developed by Elon Musk's SpaceX and Boeing Co.
A possible purchase "provides flexibility and back-up capability" as the companies build rocket-and-capsule launch systems to return astronauts to the International Space Station (ISS) from U.S. soil for the first time since NASA's Space Shuttle program went dark in 2011. 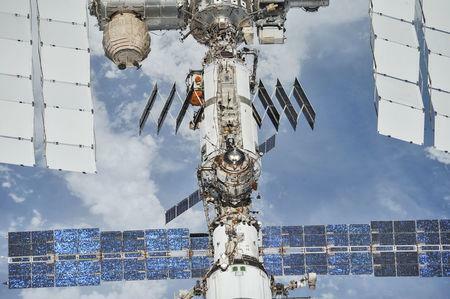 The U.S. space agency has since had to rely on Russia's Roscosmos program to ferry astronauts to the orbital space station at a cost of roughly $80 million per seat, NASA has said. After 2019 there are no seats available on the spacecraft for U.S. crew, and a NASA advisory panel recommended on Friday that the U.S. space program develop a contingency plan to guarantee access to the station in case technical problems delay Boeing and SpaceX any further. A NASA spokesman on Friday characterized a solicitation request NASA filed on Wednesday as a contingency plan. NASA said it could buy a seat for one astronaut in the fall and another seat in the spring of 2020. "The absence of U.S. crew members at any point would diminish ISS operations to an inoperable state," NASA wrote in its solicitation on Wednesday. NASA awarded $6.8 billion to SpaceX, founded by Tesla Inc Chief Executive Elon Musk, and aerospace giant Boeing to develop separate launch systems to fly astronauts to space, but both companies have faced technical challenges and delays. NASA announced another slip last week, citing concerns for both contractors such as the need to complete hardware testing and other factors. The U.S. space agency said SpaceX was now targeting March 2 instead of Feb. 23 for its un-crewed Crew Dragon test flight, with its astronaut flight coming in July. NASA said Boeing's un-crewed CST-100 Starliner would fly no sooner than April, with Boeing's crewed mission is currently slated for August. 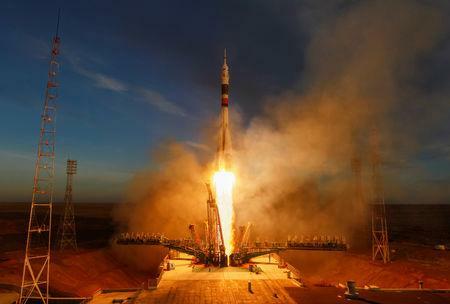 "Typically, problems will be discovered during these test flights," NASA wrote.